Two "Tall Boys" (471 ml) of Canada's most popular Lager - Molson Canadian. 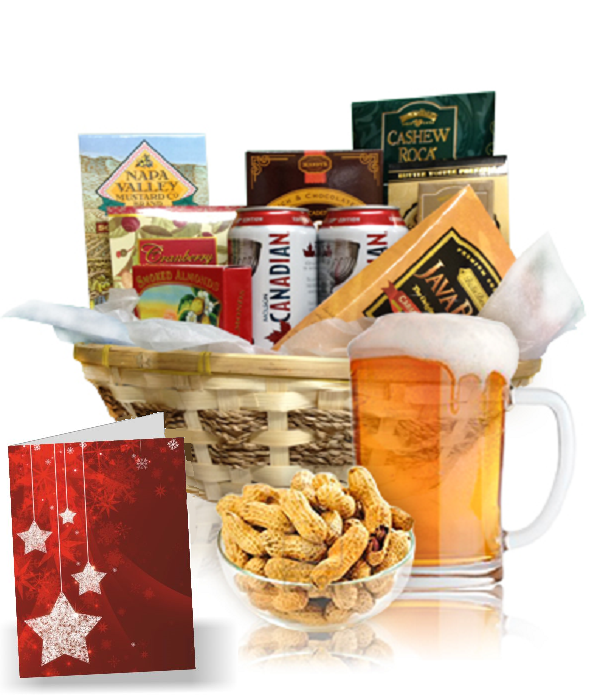 Blue Diamond Smoked Almonds, six (6) assorted gourmet treats and a full size Greeting Card - sure to impress the men (or women) in your life. Disclaimer - Purchaser must be 19 year old or over to purchase this product. Beer is purchased on behalf of our customers and no profit is made off of the price of the wine. The recipient, by law, must be at least 19 years of age, with proof of age.